The Beat Goes On, Sort Of…. I spent most of my adult life working in the music industry, but my appreciation for the value of music is not unique. Three documentaries (two films and an audio series) have been released during the past few years and for fans of music or those interested in the music business, all three are worth exploring in a theater, on television, DVD, or streaming, and in one case on radio or audio stream. The Wrecking Crew, a recently released film, is from a nickname drummer Hal Blaine gave to a group of very talented studio musicians. These recording session “hired guns” were so talented and worked so well together, they became an institution within the Southern California music community. The New York Times review offered this: “For a stretch in the 1960s, those faces beaming from album covers were lying to you: The music inside was often played by others. Those others were usually members of the Wrecking Crew, a loose cabal of versatile Los Angeles session musicians fluent in rock, soul, country and getting out of the way.” In a way, this was the Milli Vanilli business model, only thirty years earlier. In a warm and friendly way, this film documents the glory days of the “crew’s” studio work, and although most of the members are still unknown to the general public, The Wrecking Crew gives us a glimpse at the key players. For example, bassist Carol Kaye’s clear mastery of her instrument comes through as she tells the story of playing on Sonny & Cher’s “The Beat Goes On” session. What we learn is Kaye’s not insignificant creation of a simple bass-line, a riff for “The Beat Goes On” which was destined to become as iconic in pop music as Keith Richards’ opening riff for the Rolling Stones’ “Satisfaction”. And she’s emblematic of what these unsung musicians contributed to many of our favorite songs, including hits by The Beach Boys, The Byrds, Nat King Cole, Sam Cooke, The Crystals, Jan & Dean, Mamas & Papas, The Monkees, Elvis Presley, The Righteous Brothers, Frank Sinatra, and so many more. Director Denny Tedesco’s 2015* film drifts from straight storytelling to an homage to his father—guitarist and Wrecking Crew member Tommy Tedesco. His devotion is touching but unnecessary in the final cut of the film. Nevertheless, the strength shown by Kaye, Blaine, Tedesco and the other musicians—James Burton, Glen Campbell, Jim Keltner, Barney Kessel, Larry Knechtel, Jack Nitzsche, Earl Palmer, Dr. John, Leon Russell, Julius Wechter, and so many more—becomes obvious. Their stories come through loud and clear in The Wrecking Crew, and always in the proper key. Performers like Darlene Love (nee Darlene Wright) and Merry Clayton give us a glimpse into the agony and the ecstasy of the work. Love recorded as a member of the Crystals and the Blossoms, and also under her own name. She reinvented her career years later in part by legally and morally challenging the producers and record labels for unpaid royalties, and then reentered the spotlight of concerts and recording. Clayton lived through much of the same oblivion, but without a late-career spotlight to enjoy. Her background performance (actually as foreground as a background singer can get) on the Rolling Stones’ 1969 recording “Gimme Shelter” was more than memorable. It was a classic. Don Snowden wrote in the Los Angeles Times that “Merry Clayton’s spine-chilling vocal on the Rolling Stones’ ‘Gimme Shelter’ is one of the most famed in ’60s rock.” Her own 1970 album Gimme Shelter offered a new all-Clayton version of the song that remains solidly on my list of all-time favorites. Harris gives us a highly entertaining look at the recording industry, with a North American perspective and a slight Canadian flavor. If you are at all interested in the history of the music business, his series is worth your time. One problem. Twilight of the Gods is unavailable for streaming or by way of podcast in the United States. When you go to the link on the CBC site, you’re presented with a message that reads: “This Content is Licensed for Canadian Audiences Only.” Until things change you can [a] drive to Canada and download the podcast, [b] listen to the CBC online and pray for a replay, or [c] contact a friend in Canada and ask your friend to podcast the series and send it to you on a thumb drive marked “The Great Speeches of Canadian Prime Minister Stephen Harper”. It will be ignored by customs officials on both sides of the border. And only you will be the wiser. * Released in 2015, the film was reportedly completed in 2008 but getting all of the necessary legal clearances took additional years to complete. 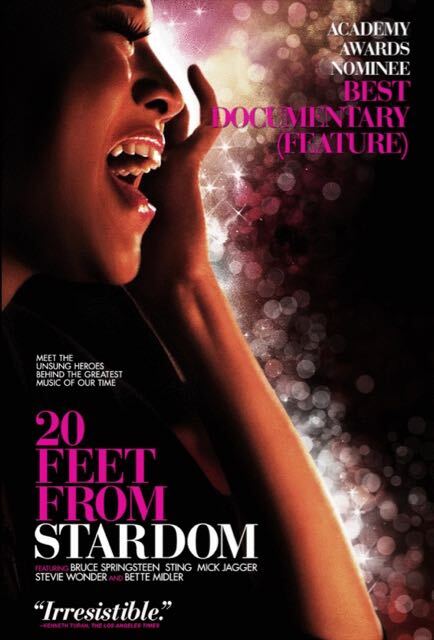 ** My long time friend, the late Gil Friesen, was the producer of 20 Feet From Stardom and drove this project from idea to completion. He died just before the film was awarded an Oscar© for Best Documentary, Features at the Academy Awards in 2014. Note: an edited version of this essay appears at www.lighthousepeddler.net.